I don’t think that this car is on the register (like H991WGF)? Well, it's pushed beyond what I was prepared to go to so I'm stepping out of the bidding! Now to get on with nattering. Firstly. This is 10 minutes from the family home in RG10, and I have even had tyres fitted at one of the units in the background. I can't believe it has (presumably) been lurking there all this time, you really do never know what is under your nose. Reg wise, if the memory serves correctly it's a sister car to Tony Idle's yellow (previously) white SST. The sense of needing to know the VIN is excruciating, I worked very hard to pin down all the SST series cars when running the register, so few gaps left to fill! So what about it as a car then? The first think I noticed is the front bumper, a MK1.5 (Beans) Sabre moulding. Not sure quite how it has been blended with the front arches, but it has. At the rear there is a MK2 Sabre spoiler and all of this is colour coded, so it has certainly seen post factory paint at some point. Under the bonnet. Black rocker cover, not original, but many reasons it could have one. Hang on where's the dizzy, is it missing? But the add says it fires up with gas. OH, there it is under the bulkhead. SO, that means it either has a Bluebird turbo head, or engine in it's entirety. There is also some unusual fuel or EGR system to the LHS of the intake manifold, and the sump is not a stock 1800ti fitment one - again pointing to full engine change. Exhaust looks a quality SS big bore, nicely formed, and not any of that kinked noodle cr*p from the usual suspects. Wheels are some bland enough OZ aftermarkets, the tyres at least match, but the Avon ZV1 hasn't been available for a good few years. No MOT history means it hasn't had a ticket since 2006 or earlier. Interior looks rather swampy but I believe some new seat covers are available from RPW or QRG. The OS footwell kick panel being adrift raises the question, what has been going on behind there (with the ECU). Evidence of fuel staining on the boot liner agrees with leaking fuel tank, or maybe if you are lucky, just a fitting or pipe. Hope the above observations are of use. Hope the chassis number can be determined and supplied to the registrar, hope it goes to a good home, and I hope we get to see more of it! I shall be down in Reading later this week for a number of days just after the auction closes. If anyone needs a hand shifting it (ok, wants to give me an excuse for a nosey) then let me know, I'll be "just around the corner". Viewed the car the eBay pics flatter it.all interior is shot ,Ecu is hanging loose and has surface rust on it , fuse box is hanging off. Everything has surface rust it’s been outside a long time.. Trailing arms don't look good either - I'm guessing the front wishbones aren't too good either.. If you thought the eBay pics flattered it you clearly didn't look hard enough! Par for the course innit? Looks no worse than I was expecting, and to be fair with things like the trailing arms, what's a bit more rust when they need refurbishing any way? Depends if you want an SST as a minty show car, or something to blat about in / use on track / turn into a racer. If I had the time I would take it on, but in no way would that be a sensible thing for me to do at this moment. Wow that is much worse than it initially looked, good luck to whoever ends up rebuilding that! I suppose the difference is, someone like me has racks full of the right parts. Where as buying all the bits to make good outright would potentially be a costly exercise. Still. 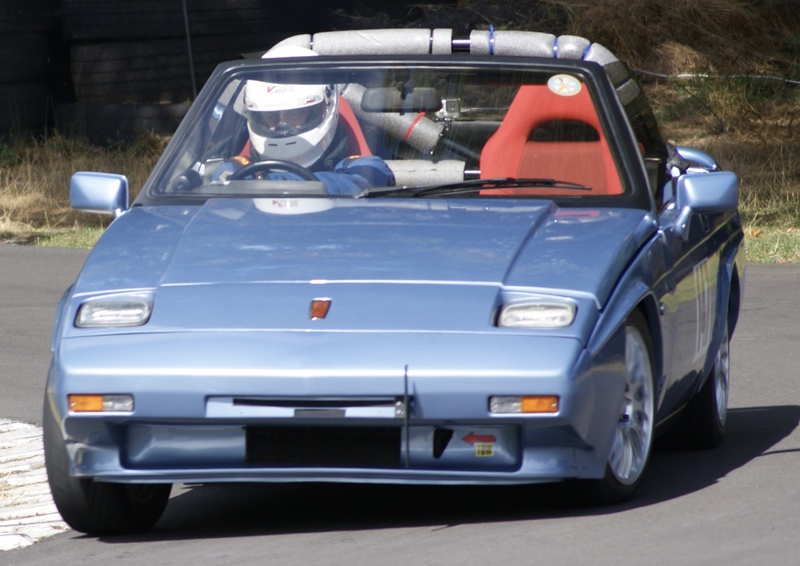 That bluebird turbo engine is begging for a big top mount turbo. Thanks now entered on register with its original engine number. If anyone on here wins the car, please keep us updated.